Send a SAR Shop eGift Card to anyone who shares an interest in search and rescue, as a special thank you, or for any occasion. We have something for everyone, all ages. Make it extra special. Select one of our images. Or, send us one of your own. Choose Custom: Your Photo and email your image to susie@sarshop.com. Same-day delivery to any valid email address within 24 hours after purchase. 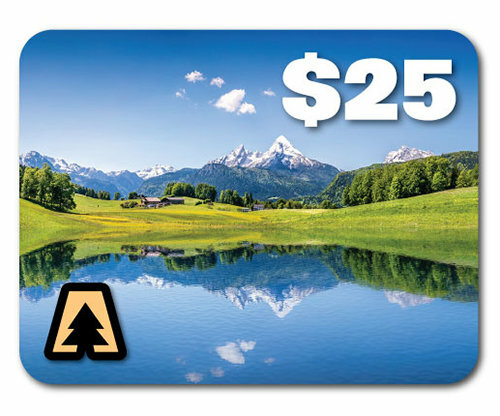 Gift Card is redeemable online, by phone or in-person at a search and rescue seminar that SAR Shop attends. See Events for a list of places SAR Shop will be as a vendor. Full value of Gift Card must be used during purchase. Gift card cannot be redeemed for cash or resold. Gift card will not be replaced if it is lost, stolen or destroyed. Use of this Gift Card constitutes acceptance of these terms and conditions. There is no expiration date or fees.